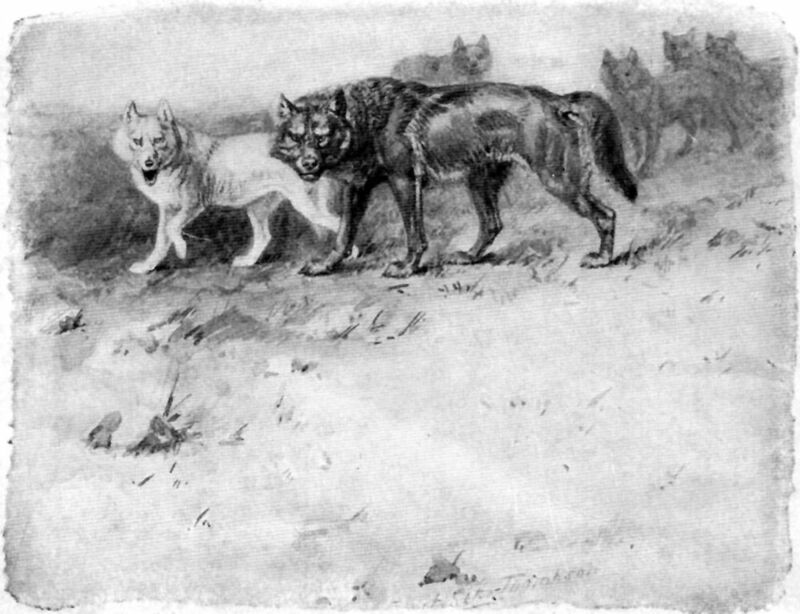 Ernest Thompson Seton was a wolf-trapper, artist and writer. He helped found the Boy Scouts, and you might even say he wrote the book on ‘em. The Boy Scout Handbook, published in 1910, drew from his earlier work and that of Lord Baden Powell, the father of scouting. But his most popular work was 1898’s “Wild Animals I have Known”. One of the stories in the collection details his tracking of a fierce, and fiercely intelligent, wolf named Lobo. “The Wolf That Changed America” is a documentary on Seton and Lobo. See it right here. Image: Lobo (The King of Currumpaw), from Ernest Thompson Seton’s Lobo, Rag and Vixen, illustrated by the author. This work is in the public domain in the United States because it was published (or registered with the U.S. Copyright Office) before January 1, 1923. ← Previous: Listen…If You Dare!